Stuart is an experienced, versatile, illustrator, author and designer who has recently relocated back to the North East of England. 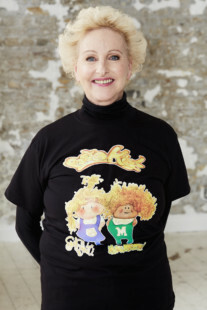 He has mainly illustrated for the children’s publishing industry. His client list includes most children’s book publishers such as Walker Books, David Bennett Books, Hodder Children’s Books, Egmont, Heinemann, Victoria House, Treehouse, Parragon, Usborne, Oxford University Press, Pearson, Scholastic, Ladybird, Azbookvarik, La Coccinella, Random House, to name but a few! As a character artist Stuart has worked on family favourites from classic titles to Disney characters, including Winnie the Pooh, Wallace and Gromit, Noddy, Thomas the Tank Engine, Topsy and Tim, Kipper, Postman Pat, and is now the author and illustrator of Rupert Bear for Egmont’s Rupert Bear Annual. As well as illustrating for publishers, Stuart has illustrated for design and advertising companies, including Saatchi & Saatchi’s NSPCC bullying campaign, which was nominated for best use of illustration in advertising. He works in pencil, pen, paint, and digital, and usually all together. 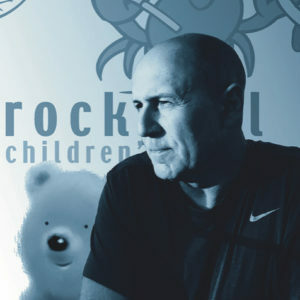 Having worked for the Children’s Publishing industry for many years, Stuart created Rockpool Children’s Books in 2006, a small independent publisher of quality children’s picture books, board books, apps and e-books. Stuart is publisher, creative director, commissioning editor, author, illustrator, designer, producer and eternal optimist! Rockpool Children’s Books, have sold worldwide and published over 50 titles. In 2017 Rockpool announced their publishing partnership with Imago’s Albury Books. Rockpool Children’s Books is now a Print on Demand publisher, continues to create exciting new titles, and sells publishing rights worldwide. Stuart’s talk and workshop ‘All about picture books’ is what he takes into schools, but it is suitable for any group interested in this subject. He recently took ‘All about picture books’ to Moscow for World Book Week 2018, working in the International School of Moscow.